Here are a couple of informative videos that have basically flown under the radar on the internet. They are very interesting for those of us interested in catching big trout with or without two handed gear. I prefer casting small Wooly-bugger sized flies. That’s right! The results are in for my highly scientific, highly sophisticated experiment using homemade streamers bigger than hotdogs. I have proven what scientists already suspect: I hate casting these pigs. Nothing spoils the serenity of of a pristine watershed like lobbing a streamer the size of an articulated frankfurter into the brush. That’s where flies land when they knuckle ball through the air in the erratic fashion, like fruit bats. So I switched to a respectable streamer. 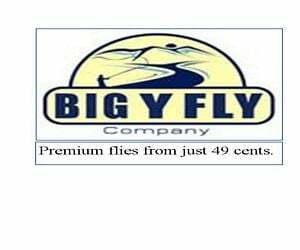 One I purchased at an actual fly shop – The Confluence Fly shop, which I like, located in Bend over Oregon. The guys in there are super nice. Even when I buy a single fly or a pack of zonker strips they offer to hide the debit card paper trail, like they think I’m slipping one under the radar or something. We fly fishers have an unwritten code on matters concerning fly shop purchases and wives. Also, I wear a fake mustache and glasses whenever I go into a fly shop. “Good choice!” the guy tells me when I pay for the fly, and he means it. Good choice indeed. I started my experiment in a stretch of river known to inhabit large, angry Brown trout. I fished my way to the slot on the far side with a convoluted mess of mated tube flies I dubbed the Purple Headed Warrior because I had nothing to weigh down the front end, other than the tube head of a dumbbell eyed purple Moal (mother of all leaches) leach. It limped through the air with the simple elegance of a cross-eyed bad-mitten birdy. I dead drifted the thing through the slot and let her swing through at the end, which is money in most cases but produced nothing. I did my best to get the fly to swim near a submerged boulder close to the far bank and felt confident that I had covered that water sufficiently but I did not have the control I needed to cast with pin point accuracy. That was just fine with me because I wanted to switch flies and fish something with which I had a tad more confidence. Something with white in the belly. Ladies and Gentlemen, We have a Weener! I wanted the experiment to be over, after casting that mop, so I could finally use my shiney new store bought streamer. Having returned to shore I rested the water a bit while lashing on the new fly. I fished my way back to the slot, enjoying a fly that slipped through the air with much more finesse than the bulky Purple Headed Warrior. The new fly flew so well that one cast got away from me and shot over the submerged boulder, landing about two inches from the Cattails on the bank. As I grimaced at the thought of losing my brand new fly a Steelhead sized hog with an extremely bad attitude attacked the errant streamer with such aggression he did a complete somersault out of the water and never even touched the fly. My jaw dropped so hard that my glasses and mustache disguise nearly slid off my nose. I’m convinced that a Rapala, a bass popper or a number 4 Blue Fox spinner would have caused the same reaction because the fish erupted simultaneously with the touchdown of the fly. I doubt a smallish Wooly bugger would have elicited the same response but I’ll never know for sure. I didn’t actually touch a fish that I know of on that little foray but I’m convinced that for myself a moderately sized streamer- say around 4 inches, is about right for me at this point in time because I can cast it with some degree of accuracy while enjoying the entire procedure. I know some guys are using huge flies, and though I’m still in the stages of developing something bigger, castable, and effective, I am excited to have landed on something that when presented correctly, or luckily, will produce crazy strikes from big Trout. Don’t hold your breath though, I’m the worst and slowest fly tier in the world. But if you are interested in tying huge flies, go here! That was a good belly laugh, love the new word fugly, must use it soon so I don’t forget it. Keep up the brilliant work love it!!! Thank you Glenn. Writing it was half the fun. I hope this motivates you to tie up some monstrosities next time you sit down at the tying bench.